I picked up the July issue of Bliss magazine (UK) when I was in Popular last Friday. I have to admit, I do enjoy browsing the "teen" foreign magazine section whenever I'm in Popular, MPH or Kinokuniya in the hopes of stumbling across some magazines with nice GWPs. Although not as nice as those in the Japanese magazines, some of them do come with some fun cosmetic items. 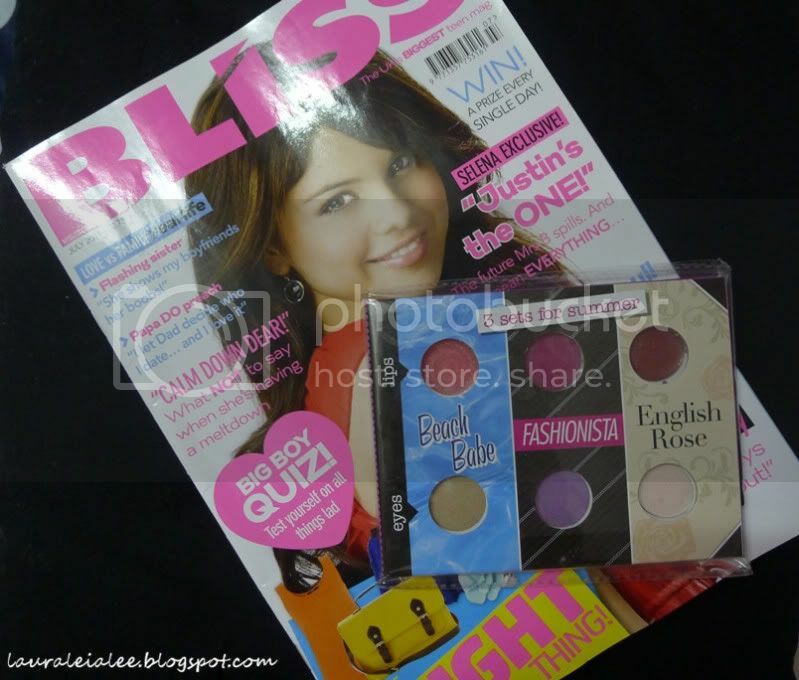 Bliss magazine costs RM9.90 in Popular bookstores and the July issue comes with an eyes/lips colour palette. 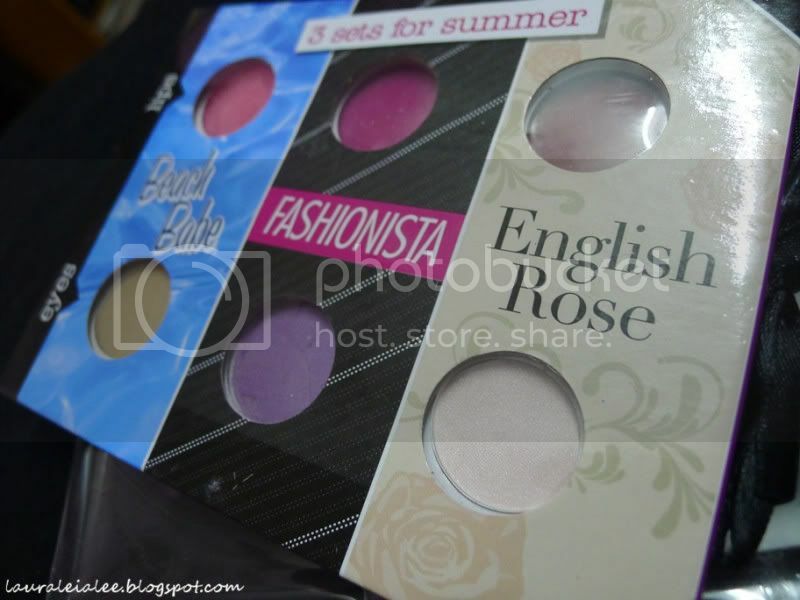 Beach Babe, Fashionista and English Rose. It came with a very flimsy brush which I threw away. 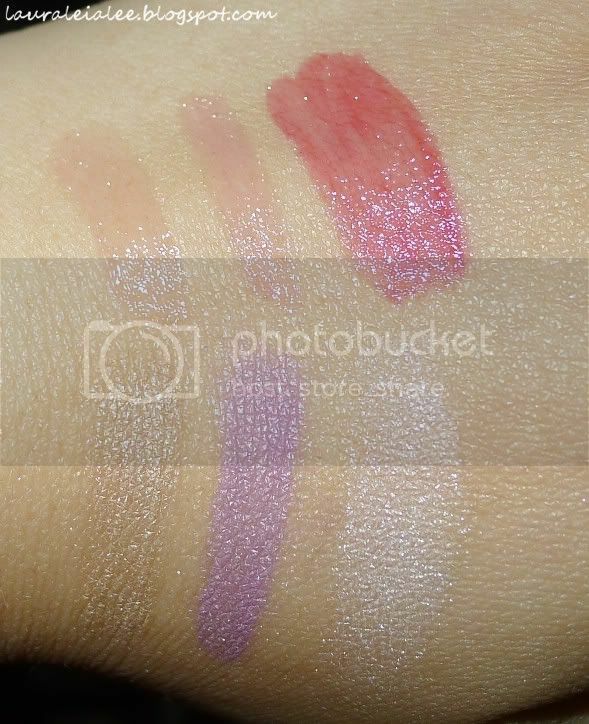 This shows the lipgloss colour in their pans more clearly. 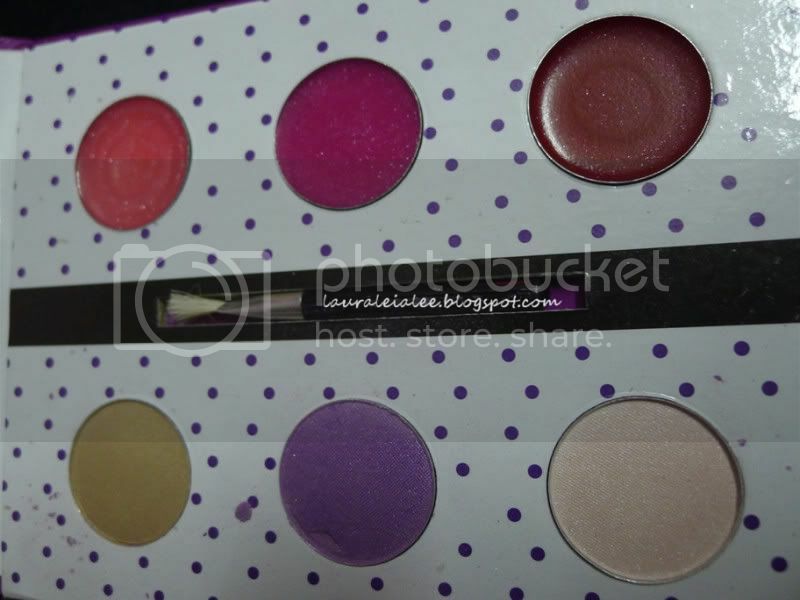 Swatch done according to their places in the palette. Lovely color options available although not all will suit me.